A brilliant and handsome Reverend Father, Fr. Gabriel Emeasoba of the Lagos Archdiocese, yesterday, 29th, November 2018 became an Advocate and Solicitor of the Supreme Court of Nigeria and was specially recognised after emerging as the best male student from the Nigerian law school. The Reverend Father, it was gathered bagged First Class Honour for the fourth time in his academic pursuit. He graduated with a first class in Philosophy (B. Phil), Theology (B.Th), Law (LL.B) and Law (BL) in the Nigerian Law School. The cleric earlier revealed that he attended the Nigerian Law School as a Catholic priest after his degree programme at the University of Lagos. 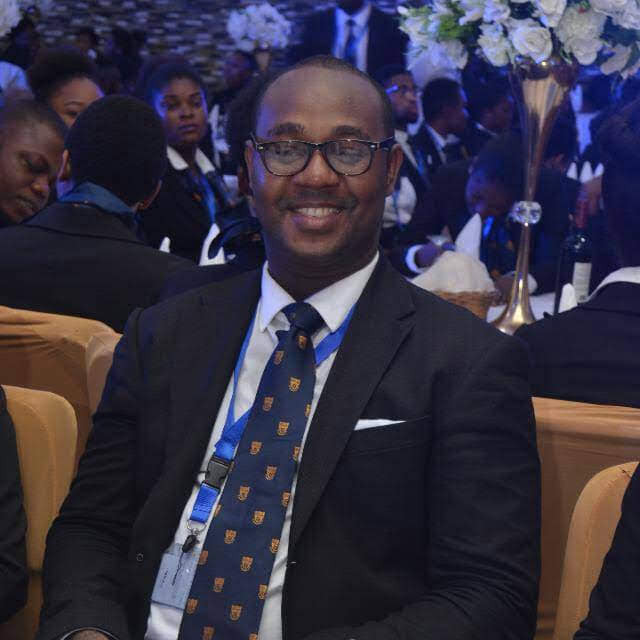 He lived most times in the hostel at the Lagos Campus of the Law School and spent all his weekends in his parish ministering and focusing on things other than law. He said that Law school was the most stressful one year he has experienced in his life because he fell sick many times and nearly gave up countless times before he finally achieved a great feat, the fourth time. Congrats to him!